Google’s primary revenue stream, at $67 billion dollars in 2016, is AdWords, which allows businesses to be promoted to customers as the top result in a specific Google Search, for a price. But the way one of the world’s biggest online advertising companies ‘seals the deal’ on these AdWords accounts may surprise you: it’s with postcards. Remember, Google is one of the biggest storehouses of information on the planet, so they could present the same offer by email, or in a pop-up when you use one of their many consumer services like Gmail. But they specifically choose physical mail. Why? Well, perhaps some of the latest neuroscience research conducted by True Impact Marketing, Canada’s leading Neuromarketing research firm could help us to explain. Another thing to note is Google’s masterful use of PURLs (personalized URLs) to efficiently funnel customers through their online system to close the deal. Because Google has access to much of prospect’s company information, the coupon code can send them to an order form that is largely ‘pre-filled’, where the only thing left to do is hit “Place Order Now”. The CEO of SoFi, Mike Cagney pronounced “Traditional lenders are my competitors. I want to take their share.” One of the ways that SoFi are acquiring new customers in the highly crowded credit market is with the power of direct mail. Their letters often begin with a personal touch “Pre-qualified offer for Jane Doe.” This simple tactic might seem transparent, but the latest research indicates that including a name alone increases average response rates by more than 100%! And with a year-on-year revenue growth standing at of 67%, it certainly seems they are doing something correctly. 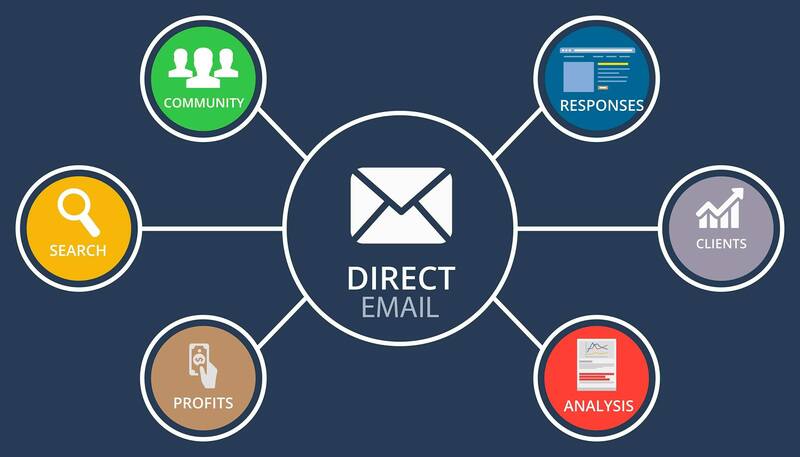 In a recent interview, Steven Dupree, the VP of Marketing at SoFi, revealed why he thought direct mail marketing was so powerful for the financial services sector. It all comes down to targeting. “You can”, he said, “to a very particular degree, target people who qualify.” Unlike brand advertising, where ad impressions are made on everyone, including people who are unqualified for the product, mail marketing is ideal in this area where there is a very specific set of qualified prospects. Dupree achieved the company’s spectacular in large degree by targeting ‘pre-screened’ students who could benefit by consolidating their student loans into a smaller package, but he also notes that direct mail was very useful for targeting doctors and dentists. Because biotech and pharmaceutical companies have huge margins and advertising spends, bidding costs for advertising to these professionals in the online space are often enormously inflated. Direct mail offered SoFi a way of sidestepping these big players in the B2B scene, to get their foot in the door of the health professional arena. With the success of their direct mail marketing campaign, they brought their product Enfamil from the number two to the number one product in the baby formula category, within three years. How did they achieve such great success? Firstly, this product was a perfect fit for direct mail marketing. With only four million United States households having new or expectant mothers, out of a total 110 million, any advertising that touched a household with no new mothers was a near-total waste. Therefore, they relied on the only marketing method that delivers on a per-household basis with great precision. In addition, they combined almost every response-boosting ploy that’s ever been fit into a parcel. They used personalized congratulation notes – “Wow Jane, you’re going to be a mum!” They used questionnaires that mothers could fill out in order to receive personalized advice about their baby’s nutrition, a great method for building an emotional investment in their company, while at the same time adding value to their product and gathering information on the customer. Finally, the parcels contained free samples of the product. This campaign is a great example of direct mail done right and is probably one of the most effective one million customers, targeted campaigns ever run. If it was run again today they could make great use of web technology to send new mothers to an online community where they can interact with new mothers and receive professionally-sourced advice on baby nutrition, which could build tremendous brand loyalty and trust.